Your mom always said to eat your veggies. Turns out that she may be right! Of course, there are genetic factors involved that influence how your body responds. Some of us may need to eat more veggies than others to get the same effect. The glutathione S-transferase genes code for enzymes that are involved in the metabolism of a variety of carcinogens and environmental toxins. 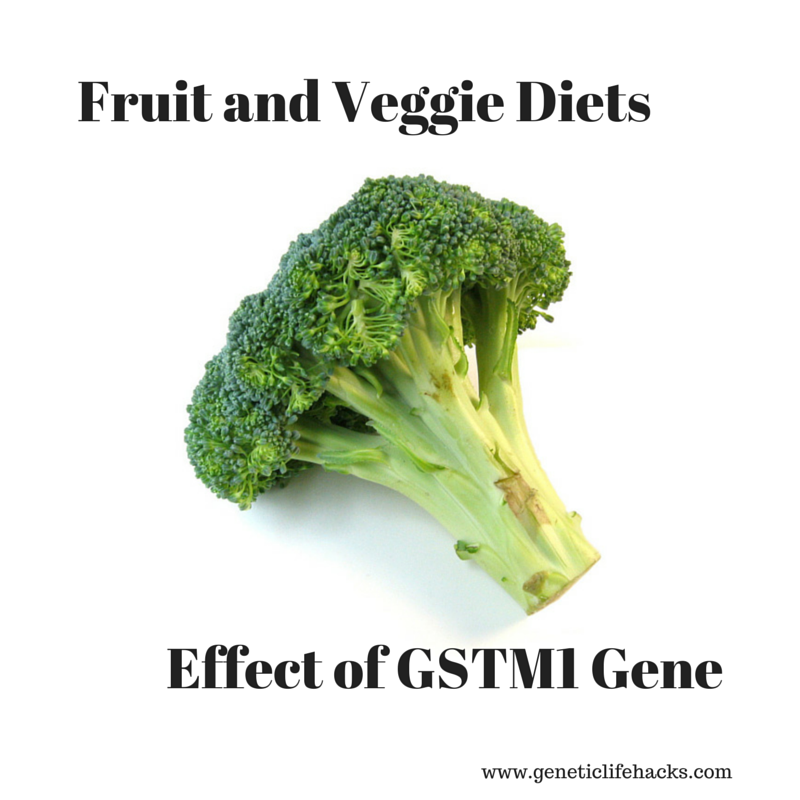 Two of the genes, GSTM1 and GST/T1, have been extensively studied for the effects of carcinogens and toxins on the fairly common null polymorphisms that involve a deletion on the genes. The deletion is fairly common with 50 – 78% of people, depending on ethnic group, having the null genotype for GSTM1. Several studies have linked GSTM1 null genotype with lung cancer. [ref] Another excellent reason to stop if you are a smoker. There are quite a few studies on GSTM1 null genotype in regards to diet, toxic exposure, cancer, etc. PubMed is a great place to start your research to see how this affects you!